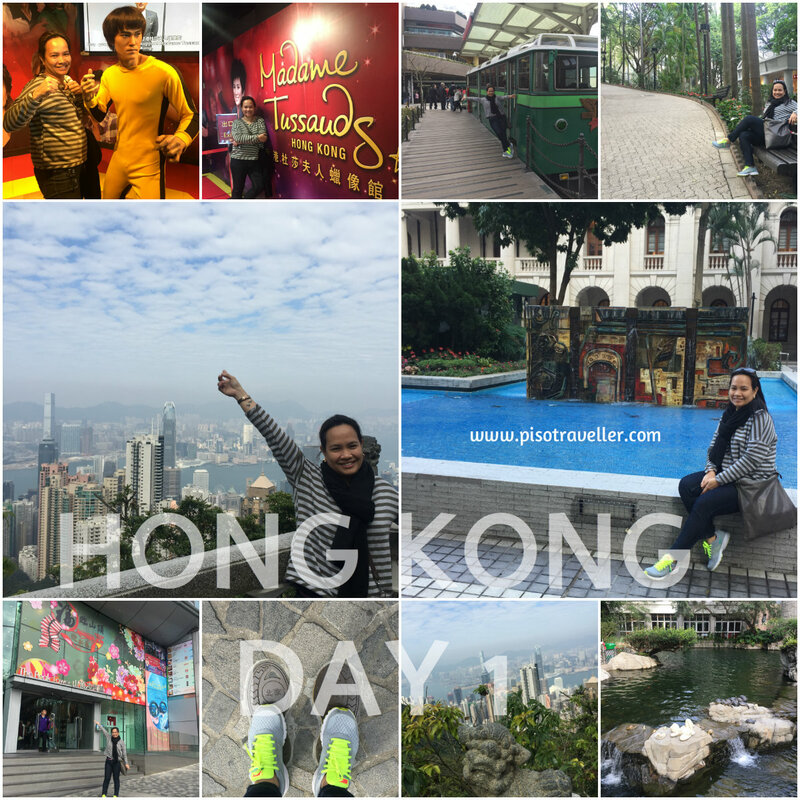 Last January 24 was our Day 1 in Hong Kong. 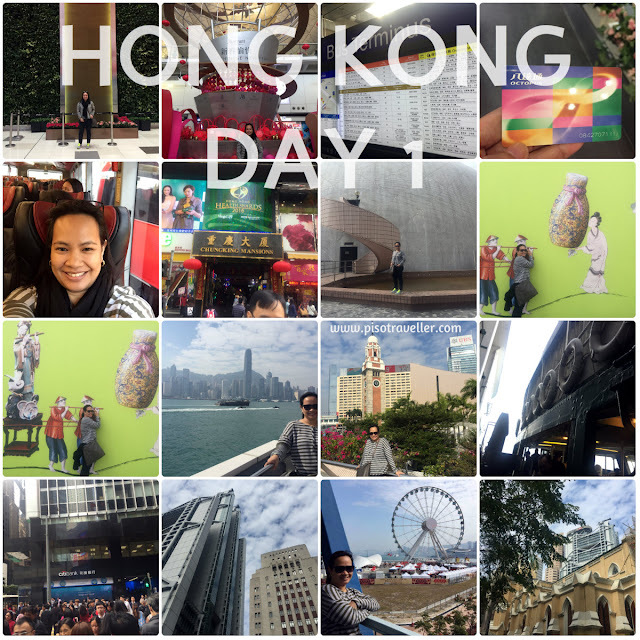 Our flight out of Manila was at 530am, and we arrived in Hong Kong at 740 am. After some picture taking and passing through immigration, we went outside to buy our Octopus card and went outside to the bus terminal going to our hotel in Chungking Mansion. We took the A21 bus, which took around 40 minutes. We have already prepaid our hotel through Agoda. After we deposited our bags (hurray for early check-in) we went out to see some sights in the Tsim Sha Tsui area. We just walked for 15 minutes from our hotel and our stops included Avenue of Stars, Clock Tower, etc.we rode the ferry(you may also use the Octopus card) We had lunch at MX in Central and walked a few more going to the Peak Tram. We rode the tram going up (fare is HKD 45 for round trip, not going up to the viewing deck). Up the Peak was an amazing of Hong Kong! We also checked out Madame Tussauds (no, we didn't go inside, just by the front door, hahaha!) and stayed at Peak Galleria where it was sooooooo cold! We had an amazing time just looking at the beautiful scenery and enjoying the cold weather. How I wish our weather was just like this so we can all enjoy walking (or maybe not, hahaha). When it was already too cold in The Peak, we took the tram again going down, and went to Hong Kong Park. It was so beautiful, especially since Chinese Year was coming and the park was decorated with flowers and looked so pretty. Then we took a tram (you can use the Octopus card again) going to Admiralty, where we took the MTR going to Kowloon. We went to the Ladies Market, Sneakers Street and Temple Street Night Market for some shopping and just to look around. We decided not to by shoes just yet because we were going to outlet stores and may regret buying if prices and selection there are much better. 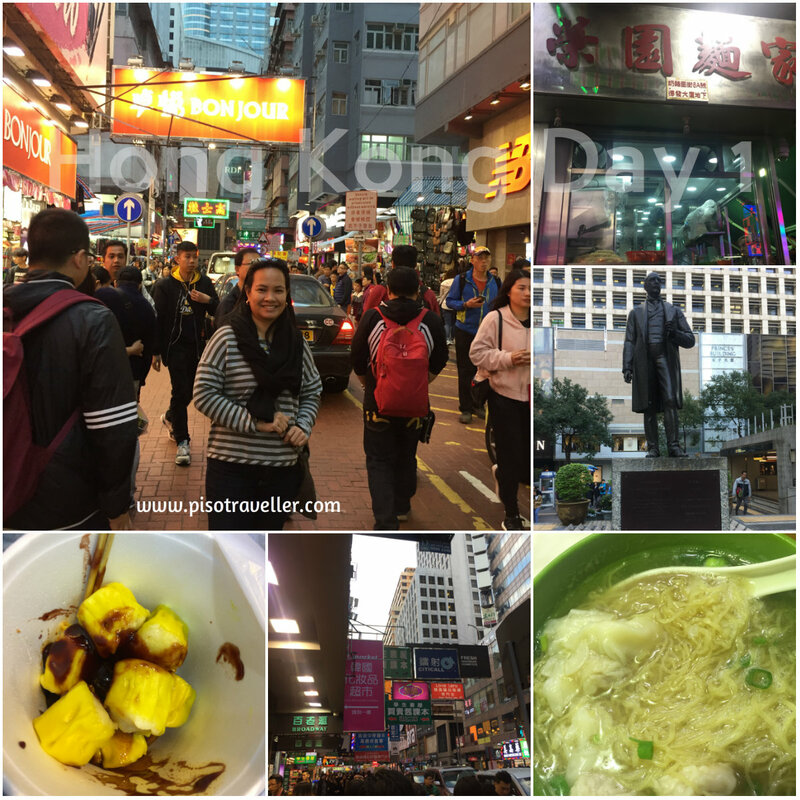 We ended our Day 1 eating some street food in Mongkok and then going back to the hotel for a much needed rest. Day 2 is Ocean Park! 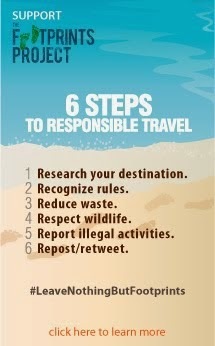 Liliw Resort, Laguna: Cool, Clean and Clear!